The plan is part of efforts by Rolls to carry out as much maintenance as possible while the engine is on the wing of a plane. Removing engines from wings incurs disruption for airlines, and so doing more maintenance while the engines are in place saves time and money for airlines, and also reduces costs for Rolls-Royce as the maintenance provider. In one early-stage technology, Rolls-Royce is looking at using a snake-style robot to deposit a set of miniature robots into the centre of an engine to carry out a visual inspection. 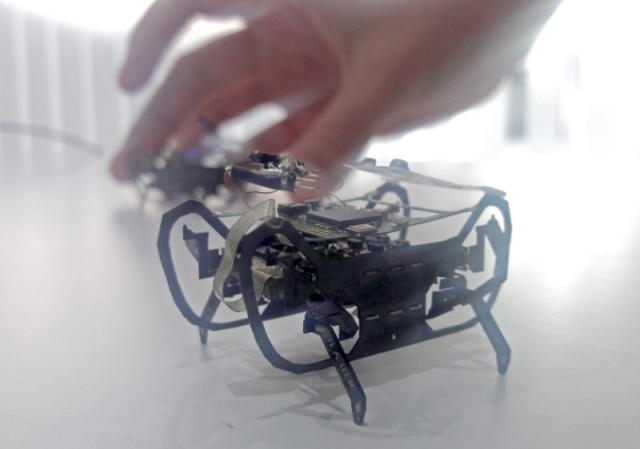 The mini robots resemble small scuttling beetles, and are inspired by cockroaches. James Kell, on-wing technology specialist at Rolls, said they could help get the time taken to carry out a visual inspection of hard to reach areas down from hours to minutes. “There’s lots of things that aren’t ready yet, there’s more work to do yet to get this more mature,” Kell said, such as working out how to safely get the robots out of the engine again. In another technology, Rolls has developed a boreblending robot that can be remotely controlled, for complicated maintenance tasks that typically require specialists. Instead of sending a specialist engineer to the wing, the machine can be fitted to the engine by a local team. A Rolls specialist engineer at its base in Derby would then take control of the robot remotely and direct it. “The aim is to service engines within hours rather than days,” Kell said.